Start by preheating your grill. You'll want it at about 450 degrees or hotter. 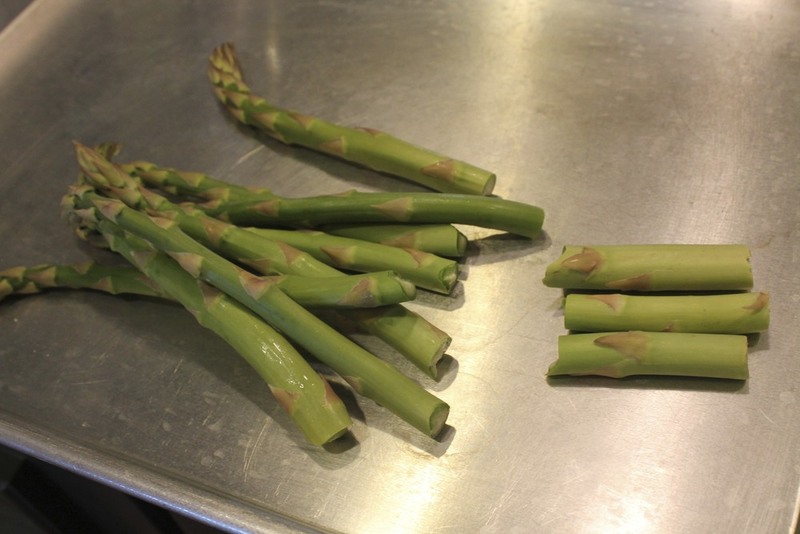 Now trim the tough ends off of the asparagus. I do this by holding a piece close to the top, then grabbing the end and bending the top and bottom towards each other. The bottom will snap off at the tough part. Do this with each spear. Now take the prosciutto out and cut each piece in half long ways. 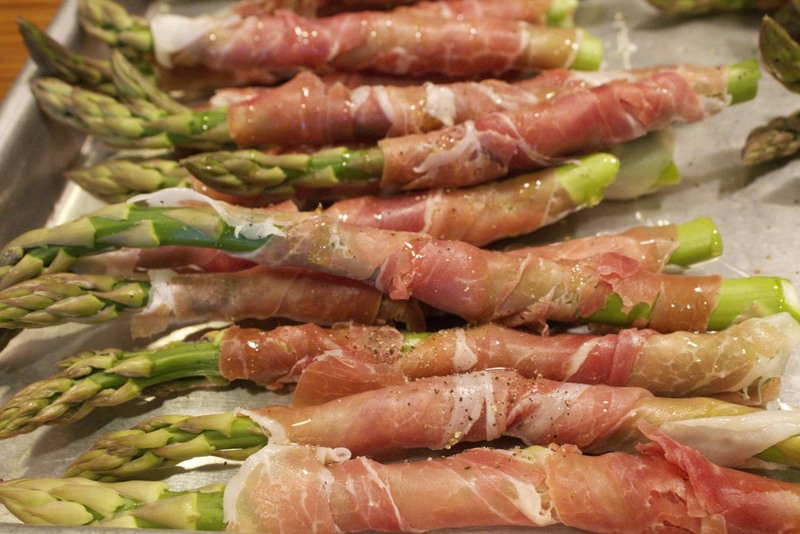 Take 1 spear and 1 slice of prosciutto and starting at the bottom, wrap the prosciutto around the asparagus ending close to the top. You won't need to use anything to hold it there as the meat will stick to itself. Repeat for each spear until all are done. Move all the pieces onto a sheet tray then drizzle them with olive oil and sprinkle with cracked pepper. They don't have to be covered completely with the oil, this is just so that they won't stick to the grill. Don't add any salt because the prosciutto and parmesan have enough salt in them already. 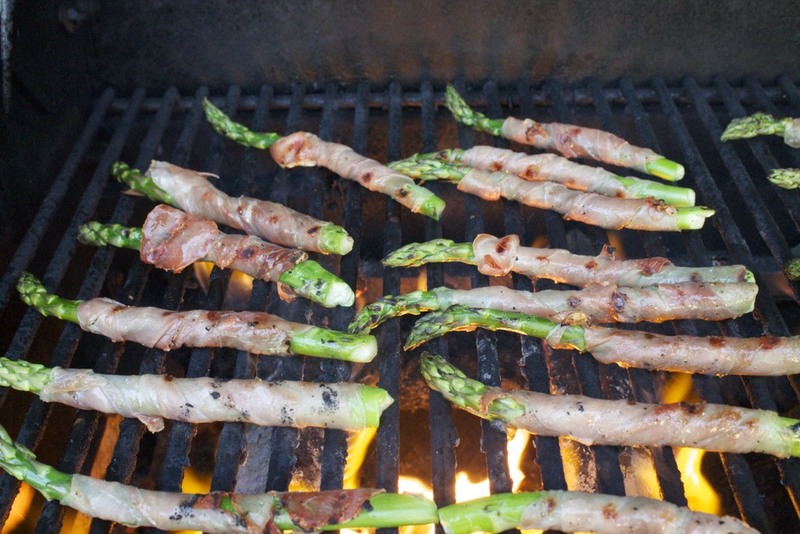 Now lay them in a single layer on the grill to cook. I had to do mine in two batches. Once the bottom starts to brown, turn the pieces over to grill all the sides. If your grill is nice and hot, this will only take 3-5 minutes. When they are done, remove them and immediately sprinkle the parmesan cheese over the top. Mix the yogurt, dijon, lemon juice, and lemon zest in a bowl until combined. Transfer to a serving bowl. That's it. I served the asparagus on a square white plate with the dipping sauce in the middle. It was pretty and delicious and gone in a flash. 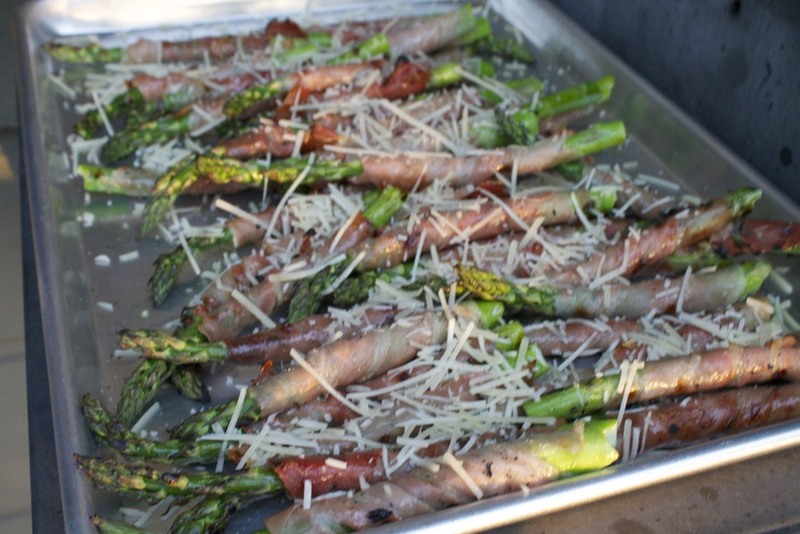 Posted in In The Kitchen and tagged with asparagus, appetizers, prosciutto, grilled. March 18, 2013 by Lynn Adams.